So many innocent babies who were not even old enough to decode their names died needlessly because of the greed and recklessness which has come to characterize the Nigerian enterprise. It was the selfishness, nay, ruthlessness, and wanton profiteering at ANY cost by some irresponsible Nigerians that inspired the production of My Pikin. The infamous substandard and poisonous teething medicine has now become the latest symbol of Nigerian failure. The first irony of this tragedy is that it is coming at the heels of Professor Dora Akunyili's departure as the head of famed NAFDAC; the Nigerian agency charged with ensuring that we swallow only drugs and food that are not harmful to our internal organs. However, it is only because the cruel makers of My Pikin were able to deceive the populace with a genuine-looking product, nicely packaged, bottled and branded; that parents were deceived into buying poison in the name of teething powder. The rest is history in the making as the culprits are supposedly facing the full wrath of the law. The second irony is that a few months into her tenure as the Honorable Minister of Information and Communication … and what do you know? The professor is embarking on a journey to re-brand Nigeria. Haba Hajiya Dora! Haba!! To put things in a better perspective, let me ask the Professor, (assuming that by chance, she gets to read this): would the wrapping of fake drugs in fine sachets make any difference to the dangers posed by such drugs?. A long time ago, I wrote about how Obasanjo's nomadic ventures and overtures abroad were an exercise in futility. I recall using the analogy of 'a fertile land does not need to invite farmers to cultivate it'. Of course we all know that Obasanjo does not take advice especially IF it is of the good type. That is why upon all his gallivanting, the foreign direct investment was simply not flowing in. And even the little investments that trickled in were dubious in intent and execution. It is therefore understandable that a section of Nigerian society has reacted with annoyance and irate chagrin to the re-branding idea. The learned Professor, whose office wall is covered with plaques, certificates, awards and other kinds of professional accolades, wants to embark on a project to re-brand Nigeria. This is somehow laughable. Firstly because, “re-branding Nigeria” is probably the most comical English phrase to have come out of sub-Saharan Africa as of today. Both words (i.e. 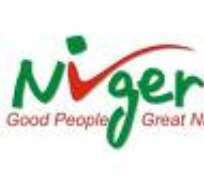 Rebrand and Nigeria) should not be used in the same sentence as of today. I intend to argue here that both My Pikin and Nigeria share one thing in common. Both are not genuine products. Any attempt to brand or re-brand one or the other will fail miserably unless the content of each is purified; and even then, an uphill task remains to convince people of the genuineness of the products. If the purported re-branding exercise is designed to coat the external façade of Nigeria with brighter colors, then it is a waste of time and resource. No amount of propaganda will convince the rest of the world that Nigeria is a better place as long as ordinary people in other countries continue to be tortured via email by 'cousins' of Mobuto Sese-Seko who happen to be sitting on his loot in Nigeria. As long as even esteemed personalities like Jack Straw can have their email accounts hijacked and remotely controlled by Nigerian fraudsters who have the effrontery to send email to his list of contacts, asking for monetary assistance; then what are we re-branding? It is either we want to deceive ourselves, or deceive the rest of the world …or both. No amount of mobile phone propaganda, TV jingles and CNN adverts will draw tourists to our long-deserted wild life parks. No amount of foreign trips will entice investors to come in droves to pour their hard-earned money in an economy that is choking in the fumes of generators. For those who have not noticed, a lot of the so-called investors in Nigeria today belong to three categories. In the first category, we have countries like China who desperately need our oil reserves to fuel their insatiable growth – whether we use the income or develop our railways as a result is left to us, not them. Secondly, there is a category of individual investors from places like India and the like, who see an opportunity to purchase our steel factories at cheap prices in order to control the global steel market- no doubt a fine developmental strategy, which Nigeria is oblivious of. Finally, there is the quintessential Multinational Company which simply loves to invest here because they (a) don't have to pay taxes, or (b) they pay minimal tax which by itself is a settlement or bribe; and also because (c) the system allows them to import and export raw materials at will without paying any dues accruable at our ports. Let's face it, countries and economies are now products in themselves and as such, I am not against re-branding of Nigeria as long as it starts with cleansing the hearts and minds of Nigerians. No amount of re-branding would help a bank like Zenith or GTB, if its banking services are riddled with sharp practices and malpractices. No amount of branding will help companies like UAC or Unilever if their products are fake, substandard or marketed to the wrong people. Every product is marketed to a target niche at the right time. What Nigeria needs now is an internal marketing strategy to bolster the sense of belonging and national pride, and by extension, patriotism; which are ALL seriously lacking. Re-branding does not work simply because an entity desires a new face or image. The fundamental drive behind re-branding is a genuinely new, improved or re-invigorated product or services. The Professor will do well to sit with Cecilia Ibru and her ilk in order to take a short-course in marketing strategies. Because simply, what does the Professor want to re-brand? Is it the potholes in our highways, the 25 year-lack of stable electric power or the corruption that holds sway in our offices, airports and seaports? Is the re-branding intended to hypnotize Nigerians into believing all is well? Unless of course, the re-branding is meant to pull wool over the eyes of potential foreign investors; which would then make the exercise a 419 strategy with a Ministerial stamp of approval. I mean no disrespect to Madam and her colleagues. The facts are on ground for all to verify. For those who are not familiar with my position on national issues, let me re-iterate that I do not agree with Lord Lugard's geopolitical definitions and demarcations of Nigeria as we know it. I believe Nigeria is a merely a country and not a nation. I would prefer a situation where each and every one of us who has had the geographical mishap of belonging to present day Nigeria; to be able to decide how and why we must continue as one. I would prefer a confederation, whose central authority is charged with national security and no more. As it is, Nigeria is not workable and to argue otherwise is to deny the stark reality. I know that any relationship, venture or collaboration that does not allow its members to re-negotiate their membership (or have the option to withdraw that membership) is simply a cult; a secret cult, for that matter. Nigerian governance seems to resemble a secret cult more and more with each and every passing day. Let me clarify again, that I am not against re-branding. Early in 2008, before Prof. Dora became the Songito (ask your Kegite friend for the meaning of that word) of this Administration; I wrote that Nigeria needed a new sense of identity starting with a new flag. Friends and followers thought I'd lost it upstairs. A flag seemed trivial as far as most people were concerned. However, those who have the ability to look far into the future and recall historical precedents know that a nation not bounded by ideological strings would fall to pieces. I believe that we need to start changing Nigeria through basic and fundamental concepts. Refer to the American Declaration of Independence, for case study. Although most of these important concepts are intangible (patriotism, honesty, dedication, equality); yet they are the determinants of the physical development we seek (good leaders, good roads, stable power etc). My argument here is that re-branding Nigeria starts from within – and within each individual. You should not market a bad product to the local or global audience and expect to be successful, unless the intention is to sell My Pikin to the rest of the world. This may sound cynical or pessimistic, but in my opinion, those of us above 30 years old today should lower our expectations of seeing a better Nigeria in our lifetime. We may see an improving Nigeria, or a changing Nigeria but the final product is something only our children will have the pleasure of enjoying; and even that is IF we take necessary steps to re-dress the immorality and corruption that permeates the Nigerian society of today. Our society reeks with the pungent smell of avarice and is rotting rapidly due to the contagious effect of moral decadence. It is virtually impossible to expect a Nigerian Police Officer or Civil Servant who got his job through crooked means, rose through the ranks through questionable procedures and has been living off the proceeds of corruption to suddenly change overnight. What other means of day to day existence does he know? Without an internal cleansing exercise, Nigeria will continue to be a fake product. The average Nigerian would not hesitate to drag the Almighty's name in vain into any criminal or sinful condition, situation or equation that he finds him/herself. We swear anyhow and cheat one another shamelessly. Most of us are morally bankrupt. We use religion in such hypocritical manner that sometimes, I pity those who were wiped out for not entering Noah's Ark thousands of years ago. Being spared of any natural disaster like earthquakes, volcanic eruptions, seasonal flooding and tsunamis, it seems we, the PEOPLE of Nigeria are actually a natural disaster by ourselves. That is why I read with joy and pleasure that the Secondary School Curriculum in Nigeria is being revised to include compulsory subjects like Civic Education. I hope this Civic Education will cover topics like: Morality, Ethnic and Religious Tolerance, Hard Work; and Patriotism. This curriculum is expected to take effect from 2011, yet my worry is that those who would be asked to teach this subject belong to a generation of disillusioned Nigerians who have neither known peace nor progress. A lot of time would pass before we can judge the effect (or success) of this new curricula approach to our educational system, but my guess is that it would take a generation (i.e. the next 25 years). Only then would we have a sufficiently large number of youth - who have undergone a process of national re-birth and re-orientation and who are ready and WILLING to change Nigeria; evolve from this mess we call a country. Like I said earlier, if you are above 30 years of age, (and especially if you have kids) start paying more attention to their training and social attitude, so that THEY will have a better Nigeria. As for yourself, draw closer to God, if you believe in Him. Nigeria is a fake product and no amount of re-branding or eye-service will change the reality on ground UNTIL we have a completely new way of thinking, which would only dominate when most of us have been buried. The good news is that life expectancy for an average Nigerian is 47 years (according to UNICEF). So, the youngest of us in this problematic generation have about 17 years left to do the needful, or else, our kids will grow up and become just like us. They will also refer to this miserable lifetime of ours as the 'good ol days'. Now, THAT would be a calamity, wouldn't it? Dhahran, Kingdom of Saudi Arabia.